Awareness of inherited breast cancer has increased bilateral prophylactic mastectomy (BPM) among unaffected genetic mutation carriers, yet many still choose surveillance. We aimed to identify differences among women electing BPM vs high-risk surveillance. Participants from an IRB-approved database recruited from 11/2000 to 01/2017 with a deleterious/pathogenic, variant suspected deleterious, or likely pathogenic mutation in ≥ 1 of 11 genes with increased risk for breast cancer (per 2017 NCCN guidelines) were identified. Participants with breast cancer and males were excluded. Sociodemographic and clinical data were collected. The BPM and high-risk surveillance groups were compared using Wilcoxon, Fisher’s Exact, and Pearson’s Chi-Square analyses. A total of 304 unaffected genetic mutation carriers were identified; 22 men were excluded. 113/282 (40%) underwent BPM. 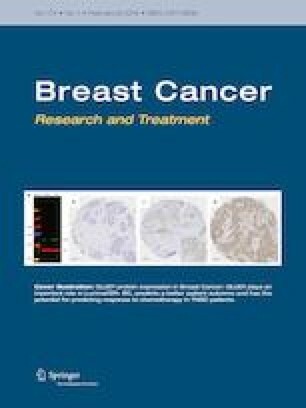 There was no significant difference in age, race, marital status, high school graduates, family history of breast cancer, breast biopsies, chemoprevention use, or understanding implications of genetic mutation carriage. BPM participants were more likely to have a prior pregnancy (p = 0.0005), college education (p = 0.04), income > $50,000/year (p = 0.01), first-degree relative with breast cancer (p = 0.04), higher total number of relatives with breast cancer (p = 0.01), and rate of risk-reducing salpingo-oophorectomy (p = < 0.0001). The high-risk surveillance group was more likely to have a history of ovarian cancer (p = 0.009) and cancer worry (p = < 0.0001). BPM is a common but not universal choice among unaffected genetic carriers of inherited breast cancer syndromes. Parity, education, income, ovarian cancer history, first-degree relatives with breast cancer, and cancer worry play significant roles in these decisions. Dr. C. Laronga is on the Speaker’s Bureau at Genomic Health and receives royalties from Up-To-Date. Drs. D. Henry, M. Lee, K. Ahmed and W. Sun, Mr. Boulware, and Ms. Almanza have no disclosures.